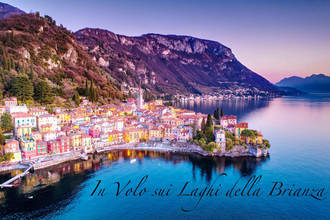 When you think of Lake Como in northern Italy many movies and movie starts will come to mind. Drone pilot Marchino agrees and wants you to dream up those images while watching his flight through his home. Complete with hyperlapses, top-down shots, and many flights over the water this piece gives the viewer yet another wonderful perspective of the picturesque lake. Specific locations which you'll see in the video include Bellagio, Varenna, Balbianello, and Torno. Description: A short Flight over the Lakes around my home. Specially over some Wonderful Places in Como Lake. On the wings of the immagination you will fly over Bellagio, Varenna, Balbianello, Torno and lot of places theatre for Hollywood movies and tourists vacations in Italy.